Palm Beach Fleet Services Offers Vehicle Repair Services You Can Count On! Since 2013, Palm Beach Fleet Services has provided fleet vehicles in the Palm Beach County area with comprehensive repair services that include Fleet Brakes, Fleet Drive Train, Fleet Electrical, Fleet Engine Work, Fleet Front End Services, Fleet General Services, Fleet Suspension Work, Fleet Trailer Work and Fleet Wheel Services. Our goal is to offer the best services available at affordable prices to get you back on the road in no time. 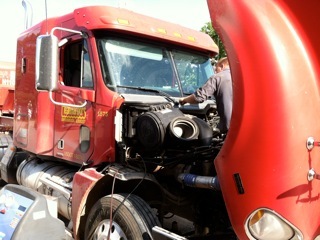 Palm Beach Fleet Services strives to have service technicians with high training levels and experience. 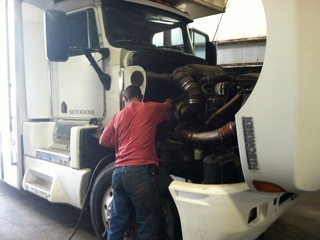 Our technicians are qualified in both gas and diesel engine maintenance and repair. All of our technicians are provided continued training in all new technology and vehicle changes and updates. All of our technicians meet the DOT and Air Brake Certifications; Certificates available upon request. In addition to coverage on each service vehicle, Palm Beach Fleet Services maintains garage keepers insurance and $1,000,000.00 comprehensive general liability coverage for our protection. Certificate of insurance available upon request. 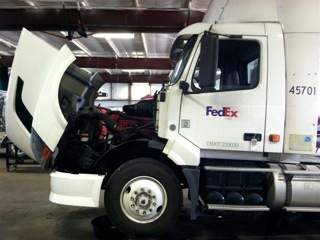 Palm Beach Fleet Services uses only high quality parts. All parts installed are backed, generally, by a manufacturer replacement guarantee. Products used meet the manufacturer's specifications. All services and repair work is guaranteed. For a high-performing vehicle, trust Palm Beach Fleet Services with your repair needs. To learn more about the services we offer, please contact us by phone at 561-509-8397 or send us an email. We also invite you to learn more about our dedication to you, our valued customer.